If you’re desirous to buy a desktop and don’t necessarily need a high-end one that will cost you more than you are willing to spend, then the HP Pavilion 510-p020 Desktop might just be what you’re looking for. It’s a desktop capable of handling intensive day-to-day tasks without breaking much of a sweat. It features a decently powerful Core i5 6400T Quad-core processor, 1 GB of internal storage and 8GB of RAM. The HP Pavilion 510-p020 Desktop is a mid-tier desktop computer that’s ideal for day-to-day office and home entertainment. It sports a couple of decent features; a Core i5 processor, 1 TB (7200 rpm) HDD, 8 GB of DDR4 RAM. For all these and more, it receives our recommendation as a great mainstream desktop for users with moderate to high demands. We also loved the fact that HP included a configuration list with other options to choose from. 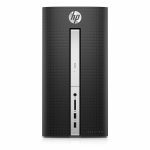 For heavy users, the HP Pavilion 510-p030 Desktop is also worth a look at. Design-wise, the HP Pavilion 510-p020 is cut from the same cloth as the HP Pavilion 510-p030 Desktop. They’re both mid-tower desktops true to big-box design. The one difference the HP Pavilion 510 design has, is the front-facing section which isn’t covered by a smooth glossy finish as certain other in this class may be. However, its minimalistic designs maintain a subtle official look to it. Incidentally, its face features a series of dots that add aesthetic value to an otherwise plain surface. The traditional HP logo also sticks out at the top center in a defining silver circle, while the DVD drive and port section follow suit in a vertical file. The general outlook: simplified elegance. As far as size goes, the Pavilion 510-p020 measures 14.9 x 6.4 x 14.3 inches and weighs 12.6 pounds which is much like a dwarf compared to the CYBERPOWERPC Gamer Xtreme VR GXiVR8020A2 Desktop at (20.16 x 9.25 x 21.57 inches). The Lenovo IdeaCentre 300 Desktop 90DA00LPUS | Amazon measure 16.14 x 6.3 x 13.98 inches meaning the HP Pavilion is inches shorter, almost similar in width but has a longer backside. The port system is healthy as far as general connectivity goes. The front panel features two USB 2.0 ports, a 3-in-1 card reader and a microphone/headphone combo jack. Meanwhile, the rear is home to two other USB 2.0 ports (to make a total of 4 USB 2.0s), two USB 3.0 ports, one VGA port, one HDMI port and a single Ethernet port for wired Internet connection. The front is also home to an Optical DVD+RW drive. Other additional features include a Bluetooth 4.0 connection, and PCI Express (x16) slot should you ever consider adding a dedicated graphics card. HP offers an HP USB Wired Keyboard with volume control and Wired Optical Mouse along with this desktop. On the downside, which is really not a downside per se, is that the HP Pavilion 510-p020 lacks a USB Type-C Thunderbolt port. This is more of a personal wish list since such ports are found in premium computers at far higher price points. Speaking of the interior, the inside of this desktop is where the entire streak of brilliance resides. The hood is home to a 2.2 GHz Core i5 6400T Quad-core processor with 6MB Cache, with a Turbo clock speed of 2.8GHz on turbo. The processor managed a decent 5600 points in the CPU mark score. In comparison, the HP 510-p030 model receives an average ~9000 points on the same CPU Mark score; a clearly defining score that keeps demanding programs running smoother than they may in our unit. As far as memory goes, the available RAM is 8GB DDR4 (2133 MHz SDRAM Memory) that fairs well for multitasking. 8GB memory gives you the raw power to handle power-hungry software and applications while simultaneously handling some other functionality. If you’re thinking of bumping up the memory space, you can do that but there’s a 16GB maximum threshold. If you’re wondering whether 8 GB is enough for your needs, you will find an answer in this article. The answer is yes. In terms of storage, it comes with 1TB hard drive 5400RPM storage that is plenty for backing up music, movies, and your home photo catalog. Ideally, 1TB SATA hard drive space backs up to 666,000 photos, 285,000 songs or 526 hours of HD video and more. If you’re an avid downloader and/or file hoarder, and the 1TB is not enough, consider adding additional external storage. Storage aside, the Pavilion 510-p020 brags of an Intel HD Graphics 530 graphics card. There are so many better options for heavy gaming and our unit isn’t exactly cut out for that. With an integrated graphics card, you don’t expect to go very far with AAA titles. However, that does not mean that it cannot handle light gaming at moderate settings. Some of the games that will play comfortably include Minecraft, League of Legends, FIFA 15, Grand Theft Auto 5 and generally Steam titles. Don’t expect a lot from graphics intensive games like Far Cry 4 as the GPU doesn’t have enough juice to handle such games. The upside though is that there is a free PCI-e x16 socket to add your own graphics card. But I say this with caution because the power supply is only 180W. There are a bunch of software included on this desktop, some might be Bloatware while others are very useful. In the configuration list, our unit sits right in the middle in terms of processing power, memory, and storage. In total there are three configurations as listed below. Gaming desktops are a different breed of rigs, with designer cases, and above standard PC parts. Business desktops have their own style that’s far less gaudy than the latter, a look that appeals to users in the office setting. 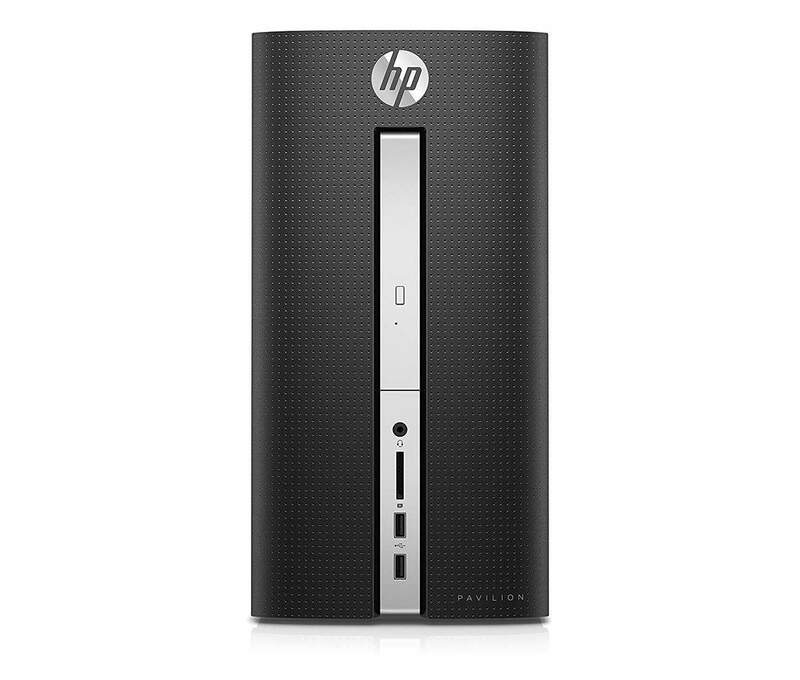 The HP 510-p020 Desktop is a home and office desktop that has a middling appeal. It sits in the crosshairs of both these categories with standard PC parts. Nothing much about it really screams out because it’s built for simple day-to-day tasks. That’s not to mean it has a toned down performance, no. While it may not be in the top farthest end when it comes to performance, but it packs enough oomph to handle light image & video editing, media streaming, word processing, and other daily computing tasks. To sum it all up, the HP Pavilion 510-p020 makes it to our Editor’s list of home desktops for best budget mainstream desktops.